Children and young people need to be empowered to keep themselves safe. We are committed to discussing these issues as part of our e-safety curriculum; however we can only be successful if we all work together: pupils, parents and teachers. At school, the children use SMART as part of their e-safety learning. 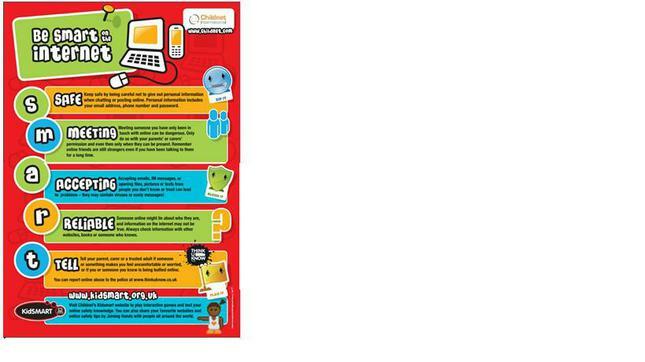 The poster below is used within school and can be used at home too.